-After leaving Altar Sjoerd Visch hit upon the idea of starting a brutal Superstar Death Metalband. He discussed the idea with Deadhead / Eternal Conspiracy frontman Michiel Dekker and they joined forces. Martijn Moes, the formidable bassplayer of Eternal Conspiracy was added to the line up 2 minutes later. Bassplayer/Vox Robin Kok from Exposing Innards/Slayne was called to duty after a simple phonecall. Their purpose is to teach all the morbidness and destructive power in the art of Death Metal to the musically stuffed to the gills Dutch audience. No blasé band names from medical handbooks, no bloody, illegible band logos or other numerous clichés of the shamelessly dry-bled genre, but an emotionless and hyper-modern character. The Monolith Deathcult is a guarantee for a post mortal eruption of sound of which the spasms will be felt for a long time to come into the musical polder model of the Netherlands. With their credo” Monolith refuses to be part of any underground movement. We are operating on a strictly commercial base” they made many friends and it gives them a lot of credibility in de Dutch Underground . 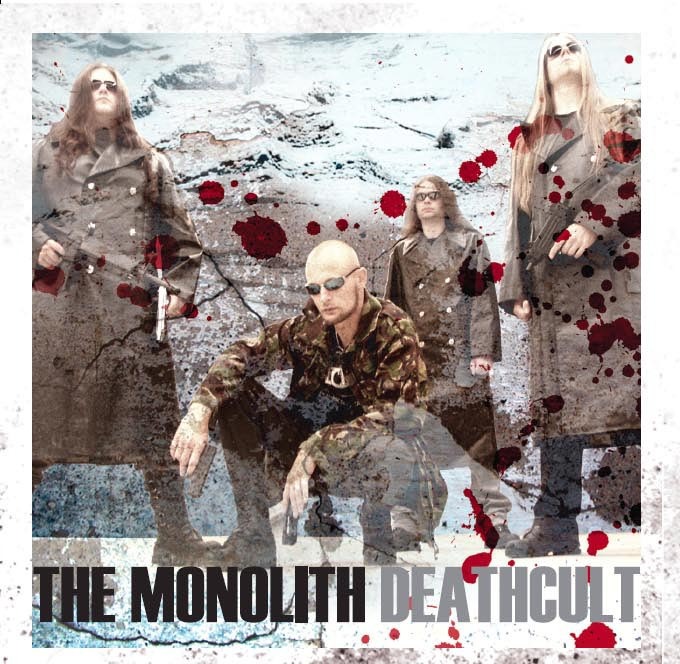 -After some quarrelling with other bands who named theirselves also Monolith the band decided to change their name in The Monolith Deathcult. -2 months later The Monolith Deathcult worked their way into the highest ranks of the European death metal scene. 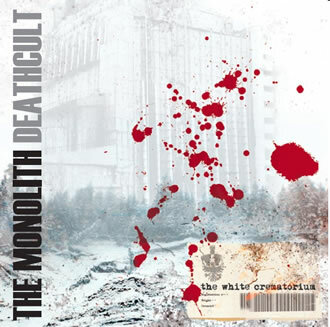 In November 2002 the Monolith Deathcult unleashed the 4-track cvlt-promo “ Obliteration of the Despised ” upon the unsuspecting Death Metal audience. Both national and international reactions were overwhelming, which resulted in a record deal with the Dutch-based label Cold Blood Industries of God Dethroned main man Henri Sattler. Michiel was kicked out of Deadhead because of musical disagreements and the comeback of the original Deadhead singer “The Voice” Tom van Dijk. - After some (cancelled) shows and a lot of troubles because of their superstar behaviour The Deatchult was ready for the next step in their masterplan. 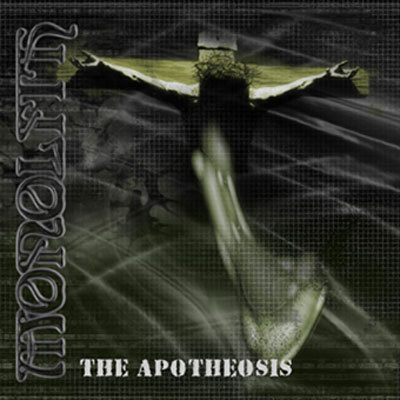 Two months after the release of the promo the band struck again with devastating force with the full-length album titled “ The Apotheosis ”. For optimal marketing of this album the Deathcult was sent on a European tour with Skinless (US) and The Crown (S). The tour was a big success, read their tourdiary here . -Back in Holland the band immediately hit the road again with their grotesque ” It's good to be back in Holland Tour 2003 ” . During that tour they did shows at Noordschok 2003 , Stonehenge and toured the Dutch clubciruit. -In November 2003, The Monolith Deathcult join ed The Crown again during their Possessed 13 tour. The Deathcult provoked Europe again on their 16 dates of Boredom tour 2003 . Read the tourdiary here ! -Back in Holland The Deathcult had to clarify something to some $wi$$ CCCP hippie-metalheads. -Deadhead chief Robbie Woning and Beyond Belief founder AJ van Drenth decided to start up Beyond Belief again . Sjoerd (drums) and Michiel (bass) were asked to enter the ranks of the Dutch doomsyndicate. - During the recording of The White Crematorium in the Ground Zero Studio, the Monolith Deathcult was accused again for racism and fascism . Native $wi$$ and Metalheads Against Racism webmaster Mike Meier discovered that The Monolith Deathcult was the greatest danger since the rise and fall of The Third Reich. Because there wasn't a possibility on the M.A.R for defending themselves against his ridiculous slander, the band decided to defend themselves in public on the Blabbermouth board. Read here Story#1 , Story#2 and Story#3 . Mike Meier picked the wrong band. Synthplayer Carsten Altena entered the ranks of The Monolith Deathcult. No, that is NOT gay. Martijn became dictator of Toxocara after a well-planned coup d'état. The Monolith Deathcult releases it's sophomore album The White Crematorium on Karmageddon Media. The reactions from fans and press were overwhelming just as the band expected. The Monolith Deathcult has arrived, now the world has to deal with it…..